EMBARGOED TO 0001 FRIDAY DECEMBER 29 Hugh Jackman appearing on the Graham Norton Show filmed at the London Studios, London to be aired on New Year’s Eve. 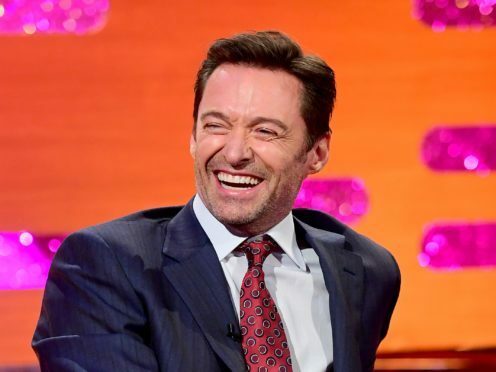 Hugh Jackman poked fun at himself as he celebrated his 50th birthday. The X-Men star took to Instagram to share a picture of himself sleeping, with a caption suggesting people should not believe it when they are told they look good for their age. When people tell you “you don’t look 50” part of you believes it … until you see yourself sleeping. Dressed in active wear with an unzipped black hooded jumper tied around his waist, the actor is seen asleep on a sun lounger with one hand resting on his French Bulldog, Dali. The star, whose film The Greatest Showman this year defied critics to become a surprise hit, turned 50 on October 12. The Sydney-born actor lives in Australia with his wife Deborra-Lee Furness, 62, and their two children Ava, nine, and Oscar, 14. Earlier this year, Jackman told WHO magazine that he hoped to celebrate his birthday with a small party. He said: “I’d probably like a dinner party for 10. (My wife and I) are going to meet somewhere in the middle.